COOPERSTOWN - Christopher Jon Huntington, 61, died Thursday, March 26, 2015, at Bassett Medical Center in Cooperstown. He was born September 22, 1953, at Mary Imogene Basset Hospital in Cooperstown to Donald and Jean Huntington. He was a wonderful big brother to his siblings Donald, Jill and Rick, and the proudest uncle of his nephews Eric and Lowell and niece Jamie. He has many aunts and uncles and cousins and friends who will miss him dearly. Chris' family extends a heartfelt thank you to the doctors and nurses at Bassett Medical Center for their kind, compassionate and understanding care. A special thanks to Dev. K. and Dave H. for their friendship. There will be no services for Chris. Remember your times spent with him fondly, smile, and know he is at peace. COOPERSTOWN - Brigitte Helene Gray, 80, of Hyde Park, passed away Sunday morning, March 22, 2015, at Focus Rehabilitation and Nursing Center at Otsego. A native of Germany, she was born January 28, 1935, in Munich, a daughter of Konrad and Angelika (née Thoma) Göeppel. Following her formal education, Brigitte studied hairdressing, and earned her license to practice in Germany. In 1954 she met Clifford A. Gray, a serviceman stationed in Germany with the United States Army. On May 14, 1955, Brigitte and Cliff were married in Gersthofen, Germany. The young couple eventually settled in the United States in Roosevelt on Long Island and began to raise a family. The Grays lived on Long Island until 1969, when they moved north to Cliff's native Cooperstown and made their home in Hyde Park on the corner of State Highway 28 and County Highway 11C. When her children were young Brigitte made it a point to stay at home with them. A caring and loving mother, she never stopped doting on them, even when she took a job in 1969 at The Meadows where she was employed until 2000 in the dietary department. Throughout her life, Brigitte possessed a great love of nature, especially animals, and took great pride in caring for the many dogs and cats her family owned. In recent years she especially enjoyed many walks with her dog Bear. A faithful Christian, she was a devoted member of Faith Baptist Church in Hyde Park. Brigitte is survived by one son, Richard C. Gray and his wife Robin, and one daughter, Cathy A. Bouck and her husband Steven, all of Cooperstown; a beloved parakeet, Stella; one sister-in-law, May Tymcheck of Hortense, Georgia; one brother-in-law, Gordon L. Gray and his wife Evelyn of Cooperstown; and several nieces and nephews. Brigitte also had a brother, Werner Göeppel and a sister, Angelika Geissler, both of Germany. With respect for Brigitte's wishes services and interment will be private and at the convenience of the family. For those who wish to make a donation in memory of Brigitte, her family suggests memorial gifts be made to Catskill Area Hospice and Palliative Care, 1 Birchwood Drive, Oneonta, NY 13820, or Susquehanna Animal Shelter, 4841 State Highway 28, Cooperstown, NY 13326. Brigitte's family wishes to express their thanks and appreciation for the kind compassionate and understanding care provided by Catskill Area Hospice and Palliative Care and the staff at Focus Rehabilitation and Nursing Center at Otsego. Jeanette Baldwin Hansen was born February 24, 1922, in Oneonta, the daughter of Edna and Paul Baldwin. 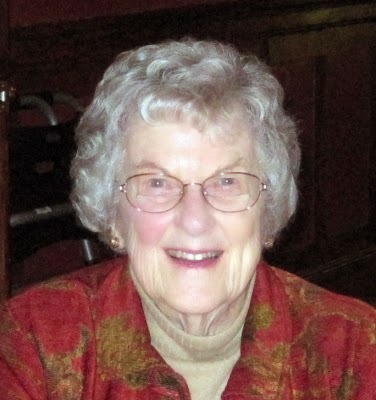 Jeanette passed away peacefully in Cooperstown on Thursday, March 5, 2015, at the age of 93. Jeanette grew up on East Street and graduated from Oneonta High School in 1940. She was a member of the National Honor Society, voted most popular in her class and was Oneonta High's first drum majorette. In 1941 Jeanette graduated from business school in Binghamton and became a secretary at A. O. Dailey & Sons in the Southern Tier, where she met and married her first husband, Harry G. Lampman, Jr. They lived in Albany and Rensselaer before moving to Modesto, California. When he passed away suddenly in 1950 Jeanette moved back to Oneonta. Jeanette married Wilbur L. Hansen in 1952 and raised their children on Irving Place, spending summers at their camp on Arnold's Lake. In 1969, Jeanette and Bill moved to Cooperstown, purchasing the Greenough house, now known as the 1819 House. Jeanette was very active in the community. She was a member of the Cooperstown Women's Club and modeled for their fashion shows in the 1970s. She was elected to and served on the Hartwick Town Board. Jeanette was active at the Atonement Lutheran Church while living in Oneonta, and the Evangelical Lutheran Church in Hartwick Seminary after moving to Cooperstown. She also served as an election volunteer at the polls for many years and sold daffodils for the American Cancer Society. Jeanette and Bill hosted old-fashioned croquet parties at their home over the years, benefitting Pathfinder Village. They swam early in the mornings at Arnold's Lake and Clark Gym for many years. Jeanette also enjoyed playing golf, bowling, playing bridge-which she played with clubs in Oneonta and Cooperstown-and dining out with the Dinner Belles. Jeanette also researched the history of the Greenough house. Jeanette led a full, happy life and always put her family first, before anyone or anything -- including herself. Most of all she will be remembered by her children as a great mom, a strong, gracious woman with a positive attitude, and a wonderfully supportive grandmother and great grandmother. "Eat dessert first, life is so uncertain" was a favorite saying that reflected in her love of chocolate. At the time of her death, Jeanette was a resident of the Clara Welch Thanksgiving Home in Cooperstown. She enjoyed many activities with the residents and staff. The family extends their gratitude to the staff and residents for being a second, loving family. Jeanette is survived by her four children: Harry G. Lampman of Schenectady, and his sons, Henry (and wife Krystal and their children Sierra and Henry) and Ernie; Paula Lampman Henrich of Cincinnati, Ohio and her children, Kristin, Paul and Shelley; Jon Hansen and his wife, Maureen, of Oneonta; and Bryn Ryan and her husband, Chuck, of Southington, CT, and their children, Shawn (and her daughter Jordan Rosado) and Billy. Jeanette is also survived by her sister Thelma Sternberg of Oneonta; and brother, Wallace Kelley, of California, and several nieces and nephews. Jeanette was predeceased by Wilbur L. Hansen, who passed away in 2002 -- just several months before they would have celebrated their 50th wedding anniversary. She was also predeceased by her sister, Barbara Baldwin Woodworth. Friends may call and pay their respects from 4-6 p.m. on Monday, March 9, 2015, at the Connell, Dow & Deysenroth Funeral Home in Cooperstown. A Funeral Service will be held at 2 p.m. on Tuesday, March 10, 2015, at the Evangelical Lutheran Church in Hartwick Seminary, with the Rev. Paul R. Messner, pastor, presiding. Following the service the family is hosting a reception at The Otesaga Hotel in The Templeton Room. Burial will be at a later date in Oneonta Plains Cemetery. In lieu of flowers, Jeanette's family respectfully requests that memorial donations be made in her memory to The Thanksgiving Fund for the Clara Welch Thanksgiving Home, 48 Grove Street, Cooperstown, NY 13326, or the Evangelical Lutheran Church, 4636 State Highway 28, Hartwick Seminary, NY 13326, or Hartwick Fire Department Co. No. 1, P.O. Box 86, Hartwick, NY 13348. COOPERSTOWN - Madalyn A. Cimino, a native of Cooperstown and in 1972 the first woman to be named an Administrative Officer at Dartmouth Medical School, died Thursday morning, March 5, 2015, at Bassett Medical Center in Cooperstown. She was 82. A native of Cooperstown, Madalyn was born June 14, 1932, at Mary Imogene Bassett Hospital, a daughter of Jack and Maria née Falzarano Cimino. She first attended Cooperstown schools and later the Knox School for Girls, graduating from there in 1953. She then moved to Albany where she was employed as an administrative assistant to the Neurologist-in-chief at Albany Medical College. In 1972 she was named Registrar of Dartmouth Medical School. She served in this position for 25 years until retiring in 1997. At her retirement in July of 1997, the Dartmouth College Board of Trustees and Dartmouth Medical School honored Madalyn for her "distinctive personal and professional services to the Dartmouth Medical School community" by appointing her Registrar of Dartmouth Medical School Emerita. The letter which informed her of this honor stated that "you were a central figure in the life of the school and its students and that your interest in the students, both as individuals and professionals in training, made you a very important person in their lives." Further, "your participation in the ever changing administrative and academic programs has been invaluable." Upon returning to her native Cooperstown, Madalyn became actively involved in the life of the village. A communicant of St. Mary's "Our Lady of the Lake" Roman Catholic Church, she also served a 3-year term on the Village of Cooperstown Board of Trustees and was a member of the Glimmerglass Opera Guild. She was also a member of the garden group in Cooperstown, and was justifiably proud of the flower gardens at her home at 16 Maple Street that she devotedly and carefully tended, and which garnered several Clark Foundation awards and letters of commendation for her efforts. Since 1966, Madalyn also found time to travel extensively throughout Europe. Madalyn is survived by four nieces, Elizabeth Lochte of Spokane Valley, WA, Susan Lochte of Charlottesville, VA, Jane Barry and her husband Paul of North Bend, WA and Cynthia Zacharchuk and her husband Michael of Cherry Valley; four great nieces and four great nephews; and cousins. She was predeceased by two sisters, Mrs. Stella Vagliardo and Mrs. Lucy Lochte, and her Goddaughter, Charlene Vagliardo. The Liturgy of Christian Burial will be offered at 10 a.m. on Saturday, March 21, 2015, at St. Mary's "Our Lady of the Lake" Roman Catholic Church in Cooperstown, with Fr. John P. Rosson, pastor, presiding. The Service of Committal and Burial will be later this Spring at St. Mary's Cemetery in Index, where she will be laid to rest near her parents. Expressions of sympathy in the form of memorial gifts may be made to Catskill Area Hospice and Palliative Care, 1 Birchwood Drive, Oneonta, NY 13820. COOPERSTOWN - Douglas Charles Clark passed away Sunday morning, March 1, 2015, at Focus Rehabilitation and Nursing Center at Otsego. He was 75. Born June 23, 1939, in Cortland, Doug was a son of Thomas and Elsie (Swartwood) Clark. During his high school years, he left school and joined the United States Army. For 6 years, he proudly served his country during the Korean War, driving tanks and later big rigs during the conflict. Upon returning home, he continued driving tractor trailers, and was employed for many years with Polkville Milk in Polkville. He last worked at Christopher's Restaurant in Oneonta. Doug will be fondly remembered as a big jokester and a man that truly loved to laugh. Doug is survived by his wife of 23 years--the love of his life--Elda Clark; one brother, Tom Clark of Groton; and three cousins, Andrea, Kathy and Billy. He is further survived by his mother-in-law, Dawn Block, and Elda's siblings, Danny (Donna) Shute, Cheryl (Lester) Shaw, Rodney (Christina) Shute, Laura Shute (Andrew Pollak) and five well-loved nephews, Andrew Shaw, RJ Shute, Caleb Shute, Matthew Shaw and Jessie Shute. He was preceded in death by his parents, and six siblings, Clifford, Virginia, Dale, Beverly, Vincent and Sharon. Family and friends may call to pay their respects from 1-3 p.m. on Saturday, March 7, 2015, at the Connell, Dow & Deysenroth Funeral Home, Cooperstown. At 3 p.m., a funeral service will be offered at the funeral home, with the Rev'd Fr Matthew R. Stromberg, Curate at Christ Church, Cooperstown, officiating. Interment, with Military Honors, will be later this Spring in Hartwick Cemetery. For those who so desire, expressions of sympathy in the form of memorial gifts may be made to the Hartwick Emergency Squad, P.O. Box 208, Hartwick, NY 13348. They always took great care of him all the times he called upon them--it was much appreciated!